Greetings on this cooooold Maine January day! How about a little sunshine? 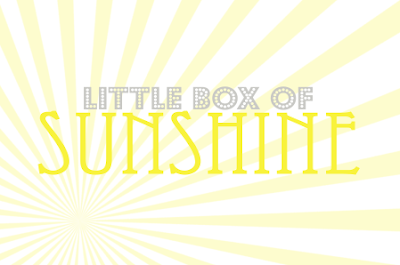 I've created and packed up a Little Box of Sunshine to ship to a friend 'just because' and now I'm sharing the warmth with you! then put them in a box with this printable card I've designed especially for this project! 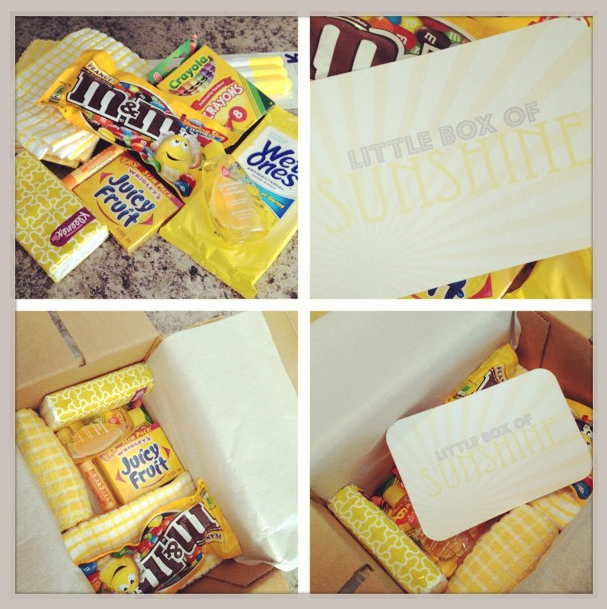 Then ship the package to a special friend who may need their day brightened! The printable in the pictures above don't show up very well but the one you can download here should be brighter when you print it! I've used a paper punch to round the corners of the cardstock, too! Enjoy! I LOVE this. Just found you and glad I did. Such a sweet idea! I was thinking of sending this to my college son but he might not get the yellow. :) Maybe better for a girlfriend. This is such a great idea, thanks for sharing it!